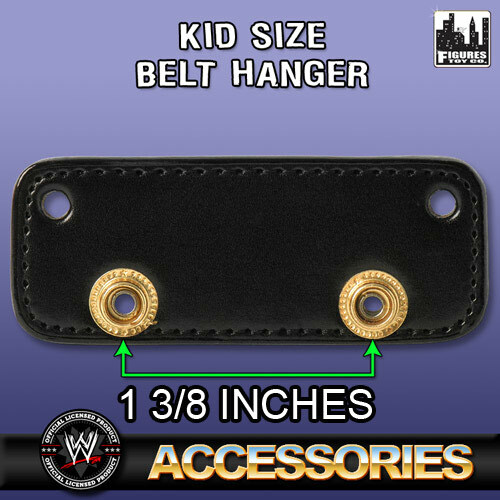 Replica Belt Wall Hanger allows you to hang your replica belt from a wall. Comes with screws and anchors for easy installation. Once fastened to the wall, the belt covers the hanger and all you see is the belt. 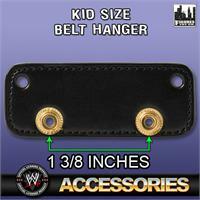 This one fits all of the WWE, WCW and ECW kid size belts. 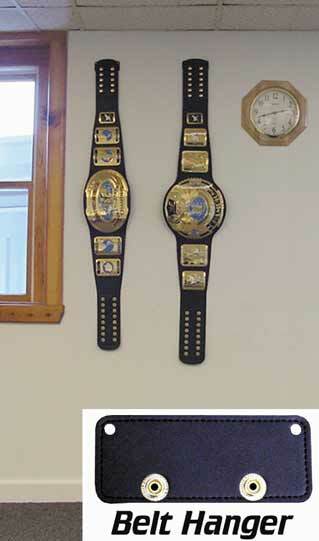 Also fits the new WWE Smackdown and Raw Women's Championship belts in both adult and commemorative. THE DISTANCE FROM THE MIDDLE OF ONE SNAP TO THE MIDDLE OF THE NEXT SNAP ON THIS BELT HANGER IS APPROXIMATELY 1 3/8 INCHES! PLEASE MEASURE YOUR BELT BEFORE ORDERING TO MAKE SURE THIS WILL FIT!